Ever struggle with cooking for a crowd due to the variety of food allergies and requirements that come with it? Risotto is a perfect go-to option thanks to it's versatility, satisfying needs of gluten free, vegetarian and even vegan eaters. This delightful rice imitates pasta and makes a perfect background to carry vegetables or meat. In this version, carrots and fennel take center stage to give an interesting warm fennel flavor with the slight sweetness of carrots. When cooked properly, risotto is creamy on it's own but I did dip into some manchego cheese for a bit of extra salty creamy goodness. Not only does it taste good, but it develops a gorgeous golden color. There are keys to cooking risotto to help develop the creaminess are pretty easy to get down; toast the rice, preheat the liquid before adding it and use a wooden spoon to help determine when to add more broth (more on that below). Take your time and let the risotto develop, it's worth it. This dish is great on its own or pair it with roasted meat as a side dish for a fat and happy crowd pleasing meal. Binge season is upon us; there is no reason to try to deny it. But you can fight it, deliciously. These little raw chocolate balls are not new, but my version adds in crunch to help satisfy that crunchy, cookie need with popped millet. It takes a few extra minutes to pop the millet, but it's so worth it for the addition of gluten free crunch. The bonus with these balls is that they don't just satisfy your sweet craving but they do it with natural sugar and energy from the dates, good fat from the coconut oil and antioxidants from the cacao and they help to regulate blood sugar with the cinnamon. Set these out but don't tell anyone what they are until after they try them and comment on how good these are. Indulge if you must right now, but keep these babies in the fridge or freezer year round as your go to healthy, sweet, energy option. 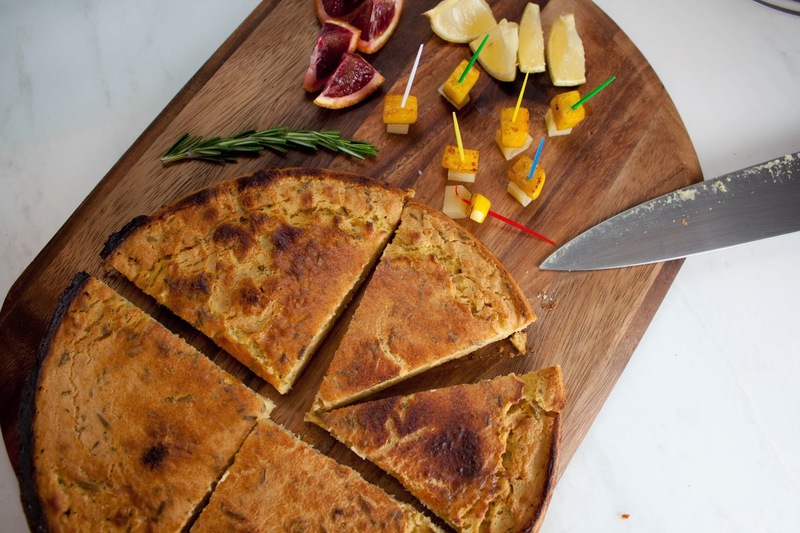 I cannot stop coming up with squash recipes! Gotta get them in while we can right? One of the ways I've been enjoying squash these days is charring the skin, either on a grill or in the oven. It's delightfully crunchy and tasty, especially next to a slightly acidic sauce. This dish plays like a warm salad but feeds like a hearty, meaty dish. 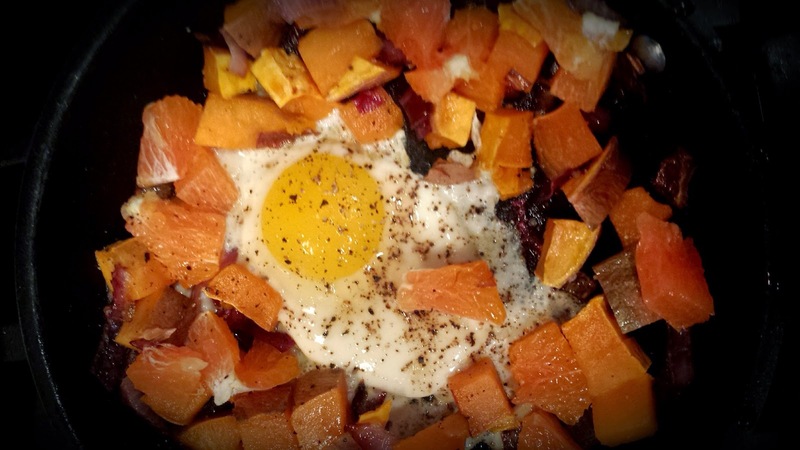 I've used both acorn squash and butternut squash and they are both great in this dish; use both for the best variety. Any grain would work in this salad; try brown rice, farro or or wheat berries. Grill, roast or broil your squash for a super delicious, healthy and hearty meal. Aside from the craziness of Black Friday shopping, the day after Thanksgiving begins the drudgery of what to do with the leftover turkey. Sure you could make a sandwich or eat them plain as is, I also highly recommend this Potato Cake with Champagne Mushroom Ragu, or this Turkey Salad with Cranberry Vinaigrette. If you are looking for something a bit cheesier you might try this Horseradish Mac n Cheese dish. But perhaps this year you want something a littler and healthier? This is the dish for you. Loaded with veggies and topped with a super yummy poblano 'cream' sauce that is filled with the good fat that will keep you nourished from the inside. Toss in whatever veggies you have, from tomatoes to left over brussel sprouts. The sauce is so creamy you won't believe that there isn't cream or cheese in it. Just healthy avocado, roasted pepper and raw pumpkin seeds. Yes, pumpkin seeds. I used them as my tahini base instead of sunflower seeds; it's a tasty way to get your zinc in. Once you make this sauce, you might start using this on your salads, as a sandwich spread or as a dip! You'll be so excited for this pasta, you might just throw a another turkey in the oven~ who knew leftovers could taste soo good? Mixing breakfast with typical dinner items gives me great pleasure. Why do we not have pancakes in the evening and pulled pork in the morning? Who imposed these limits? I for one am not going to follow them. Enter the chickpea pancake, topped with pulled pork, runny eggs and a tart lemon gremolata. Breakfast? Lunch? Dinner? Could be made for any of them- even brunch! When you serve this, don't mention that this dish is gluten free, nobody will notice. The chickpea flour is filled with protein and gives a really yummy and hearty base for the eggs and pork. This is the perfect dish for left over pulled pork; of course you could substitute in chicken or turkey if you like. Lemon gremolata tops the dish with a touch of freshness. Break through the meal time barriers for a fat and happy dish, you'll be glad you did! From a basic pulled pork recipe you can make a myriad of recipes. 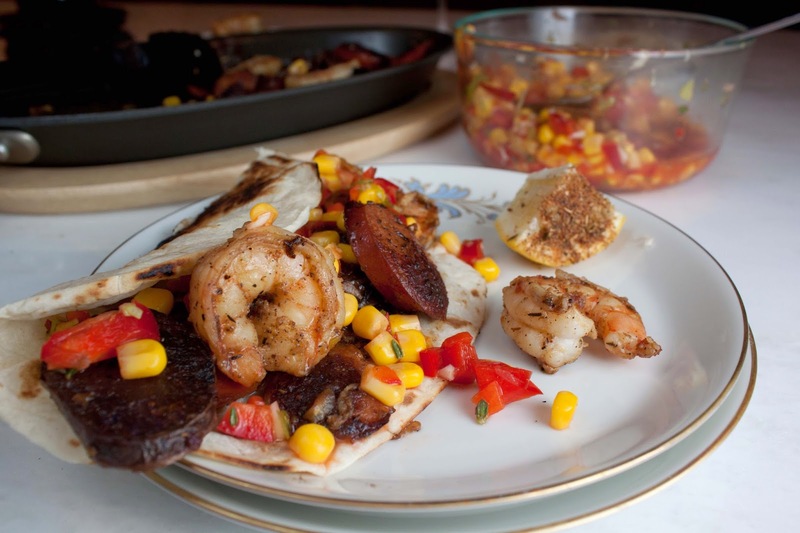 From bbq sandwiches, port tacos or even a chickpea pancake. This isn't earth shattering, just an easy crockpot way to slow cook pork until it's so tender it just falls apart. Cook, enjoy and then tell me great ways you ended up using this pork. I can't stop trying to eek out a few more days on the grill before Snow Miser rears his pretty blue head. Once again I found myself with a spaghetti squash so I cut in half, scooped out the seeds and plopped it on the grill to get just a little smoky flavor. I'm also using up the last of my home grown tomatoes about now, so a quick warming of onions and garlic with them makes a super quick sauce. When you chop the basil, do chop up the stems and eat them. They add a tiny crunch and additional basil flavor. The whole dish is a healthy, tasty, rendition of classic pasta and sauce, just a little different. Stew season has hit the Midwest; it's bittersweet. Love making stews but that also means it's getting real chilly outside. 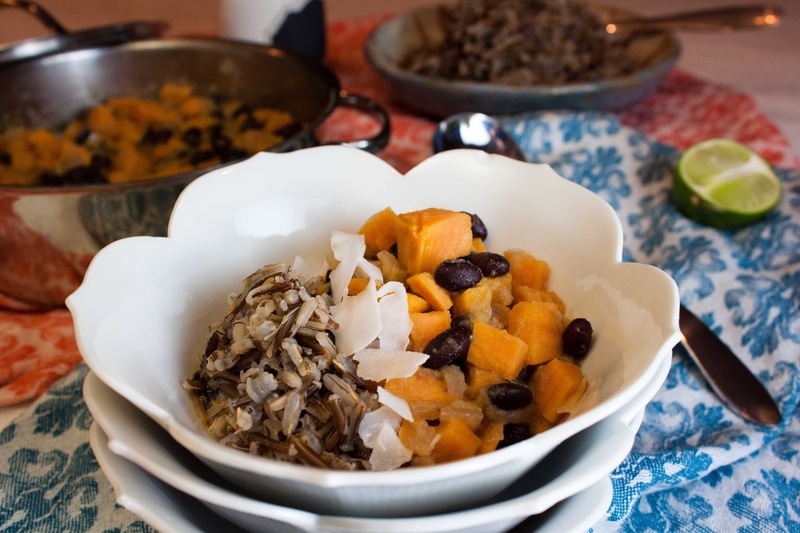 Wild rice has such an interesting, nutty flavor and it brings a fun element to any dish and especially paired with the lime coconut milk. It's a fairly simple dish that will fill you up and keep you happy and healthy. vegetables to ease my digestion system. I'll take whatever is left over from the night before and top it with a runny egg- it's simple, tasty and genius way to use up left overs while getting in good fats, protein and carbs. 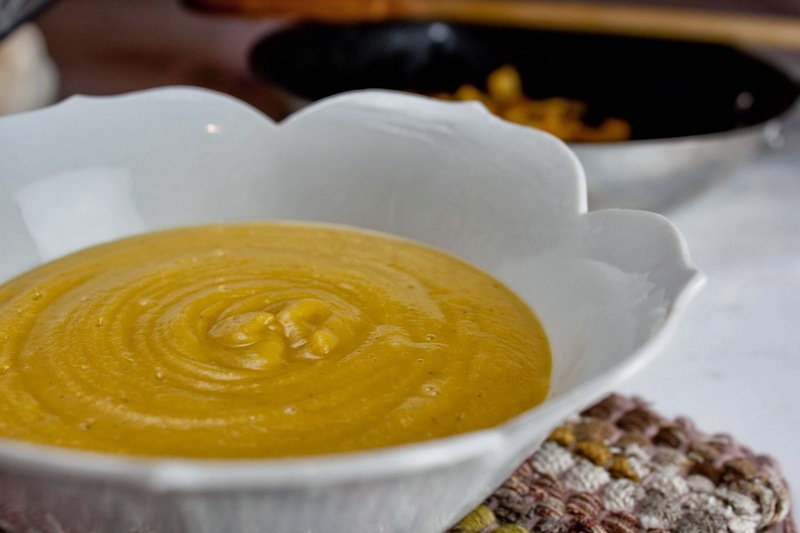 Try substituting or adding in cooked squash, pumpkin, carrots or any cooked veggies. Keeping the egg yolk runny helps to create a little 'sauce' that mixes so well with the fresh orange and coconut oil. Add a few walnuts on top for a little crunch. Fast, yummy, healthy breakfast can't be beat! Looking for a simple, fresh lunch or snack that is healthy, tasty and fresh? 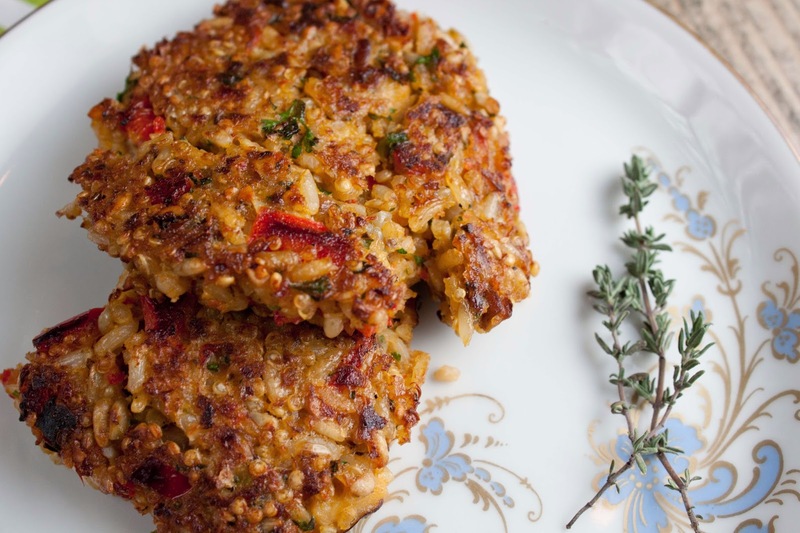 This little number is yummy and crunchy and filled with healthy fats and protein. I created these guacamole and chickpea wraps for one of my detoxes and I've been making them ever since. Chick peas are only 23 percent protein; combine with other beans, rice or sunflower seeds to make a complete protein. In this recipe we use seeds, but add rice or beans as you see fit. Make each wrap your own by adding in additional nuts or seeds or whatever veggies are in your fridge; chop up or grate zucchini, beets, onions or fennel.. 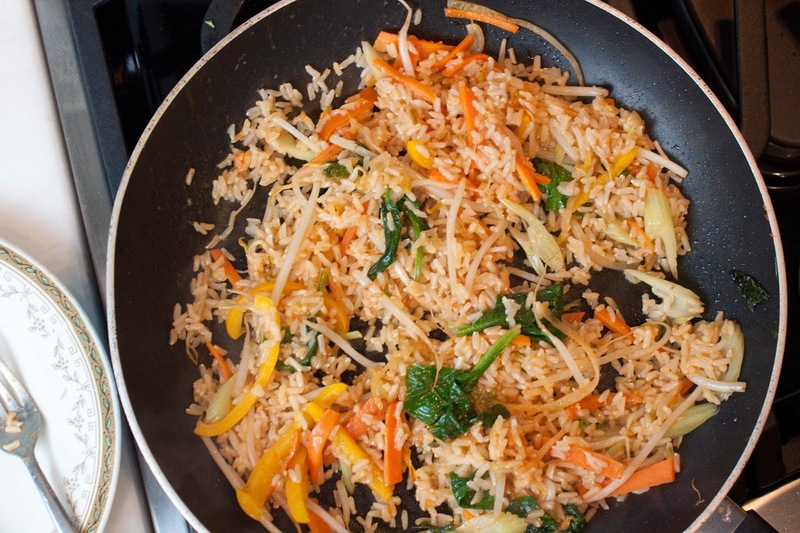 Try serving atop a bed of brown rice for a complete meal. Enjoy your happy healthy meal and then go do something with all your new found energy! So what's a gal to do when when the BBQ hankering kicks in?? Get creative! Luckily I happened to attended a Cranberry Festival over the weekend and came home with a 5 pound box of fresh cranberries. I couldn't resist using the cranberries as the base of my sauce. Mole flavors started to speak to me so I used raw cacao to give the sauce depth. Horseradish and harissa bring on the lingering heat of the sauce. Once it's all cooked and blended it becomes rich, silky, dark and tangy with a hint of spice. You can add more spice for more heat or additional cranberries for more berry notes- make it your own before grilling season is over. This recipe is a Happy and Healthy winner! Interesting summer salads are key to quell summer boredom. I'm a huge fan of greens and urge you to get them into your daily intake. But for a little variety try moving away from the world of lettuce and toss in something grilled. A sticky brown rice mingling with grilled peppers, all coated with bright fresh dill dressing - it's hearty, fresh and delicious with a touch of smokey. A great option that matches anything else you're grilling. Kiss your salads with a taste of the grill- your guests will thank you for it. I created these adorable little devils when catering a baby shower recently- not only are they healthy and delish, but they are super gorgeous and perfect for a brunch appetizer. keeping your hearth healthy and brain running efficiently. The avocado helps fight inflammation as well and is known to help with arthritis in particular. No cooking required, just whisk, cut and assemble. Eat healthy, get happy! Ever get bored of hummus? It's everywhere; probably because it's a basic go-to when you need a quick appetizer option. Don't get me wrong, I do like hummus, but I also like flavor. I found myself with a lot of spinach the other day, even after making a spinach salad, sauteed spinach-stuffed potatoes and this super yummy spinach and mushroom dahl, I was beginning to wonder if I could eat any more spinach. But then I found myself in need of a quick dip to go with veggies and I just happened to have some dried chick peas soaking, it seemed like a blender marriage. The result is a beautiful green hummus with hints of sweet from the fig jam. A wonderful break from typical hummus and perfect as a dip or a sandwich spread. This makes an enormous amount of dip, great for a large party; cut the recipe in half if you are making this for yourself or a small party. No matter how much you make, it's a Fat and Happy and Healthy delicious! I've been catering seminar lunches at my favorite Physio Therapy place- Entropy. Their focus is on complex conditions and restoring hope - something I can personally speak deeply about. Preparing food for this group is like cooking for friends who admire healthy options, we all are connected through our strive for wellness, which goes beyond just food. Dahl is basically a stew that can be made from lentils, chickpeas or black beans. For this dish I went the lentil route, the organic green lentil route. Then I stuffed it full of mushrooms and spinach and topped it off with cumin, garam masala and a touch of curry. This dish pretty much cooks itself, it just needs your love and some good friends to appreciate it. 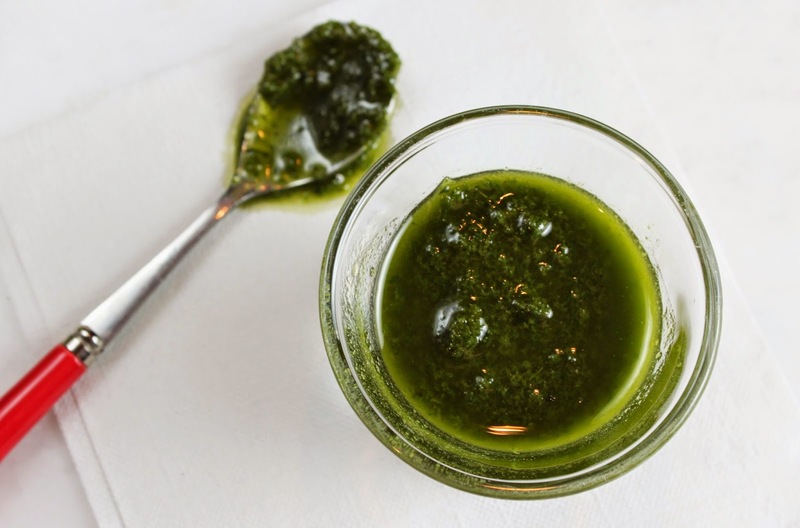 Recently I stumbled upon this Green Chermoula recipe because of a photo that look interesting, but the reviews of it were seriously lacking. And even though I'm still not a fan of cilantro, the ingredients looked intriguing, using both parsley and cilantro with a side of mint and jalapeno. So I decided to give it a go, knowing I could doctor it up as needed. So far I've used this on flat bread pizza, as a spinach salad dressing, drizzled across baked sweet potatoes and then as a light spread on a chicken salad wrap. Talk about versatility! It whips up in seconds, no cooking required. And with these great health benefits (see Happy Health Tips below), adding a second helping is almost a requirement! We enjoyed the loveliest appetizer at a local pizzeria just outside of Madison, in Sun Prairie to be exact. I was so pleasantly surprised at what this place was doing with fresh, local ingredients. This is my re-creation of their strawberry, pea and goat cheese starter; I'm missing the fresh peas, but it's really pretty yummy without them. The strawberries soften just a bit and then melt in your mouth while the black pepper adds touch of earthy spice. Don't be afraid of how lemony the crostini is; once you add a little goat cheese and a roasted strawberry you will taste the heavenly flavor combination. There wasn't a lick left when were done with this. Skipping the lemonade, I mixed iced tea with Champagne- it was that easy. The bubbles give just a little sparkle to a basic tea. To get into the details, I made the drink to go with a this snappy coconut milk cod, which is Thai-like, not to mention somewhat difficult to pair a cocktail with (this one worked great with that dish!) That lead me to iced tea, which lead me to the John Daly which got us to this point. Because the flavors already rolling around the kitchen involved ginger and lemon grass, I tweaked my tea in that direction by brewing basic tea with a slice of ginger and stem of the lemongrass. Now, your version doesn't have to be Thai-esque. You could use a straight black tea or even a fruity tea; skip the lemongrass and add in a cinnamon stick. It all goes and it all depends on your palate. I don't like anything too sweet, so the plain unsweetened tea actually helped to calm down the sweetness of the champagne for me, but you could add a touch of honey to your tea while it's steeping. It's a refined John Daley. It's a simple afternoon sunny sipper. It's a base idea for you to have fun with. unofficially. For many, this marks the true start of summer. Most kids are done with school for the summer, families start to head to beachy areas for a little rest and relaxation and grills get lit for the first time since the first snowfall at the start of winter. Ok, truth be told I've fired up my grill a handful of times already this year, but I'm pretty sure this is the first time I was able to grill without a hat, scarf and mittens on! The request was for something tasty, Dave had been traveling to locales with very limited options and he just wanted something with flavor. My mind immediately honed in on a fresh dish with spicy notes. Fresh grilled fish and asparagus in a pool of spicy, garlic and gingery coconut milk with a huge squeeze of lime to keep it all bright! 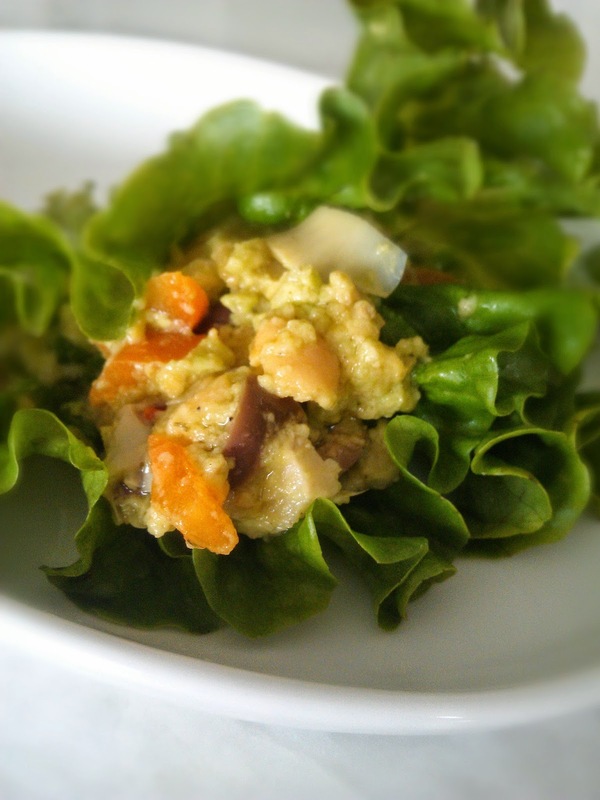 The ensuing recipe delivered in taste and meets my health nod. Kick off your Summer with something a little more interesting than a burger - like the songs says: Put the lime in the coconut and throw the shell away! Every Sunday I make a huge batch of grains to use for the week. Usually it's quinoa, sometimes it's brown rice or lentils and often it's a mixture of all three. Whatever it is, it's stored in the fridge and becomes a base for lunches and dinners...and yes, even breakfast! Think of the quinoa as oatmeal- it's kind of a vessel for the cinnamon, nuts and maple syrup. And just like oatmeal it's completely versatile- add what you like. 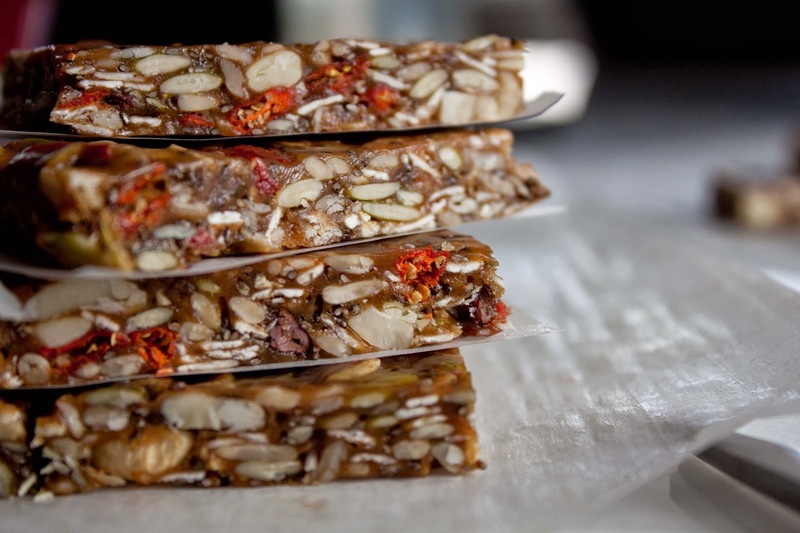 Raw honey instead of maple syrup, bananas and almonds in place of the walnuts and goji berries. Just have fun with it! This is a great breakfast to toss together in a glass jar on your way out of the house and then enjoy when you get to work! Easy healthy fat and happy breakfast, it's the most important meal of the day! Our recent trip to Spain has me longing for simple tapas and homemade vermouth. 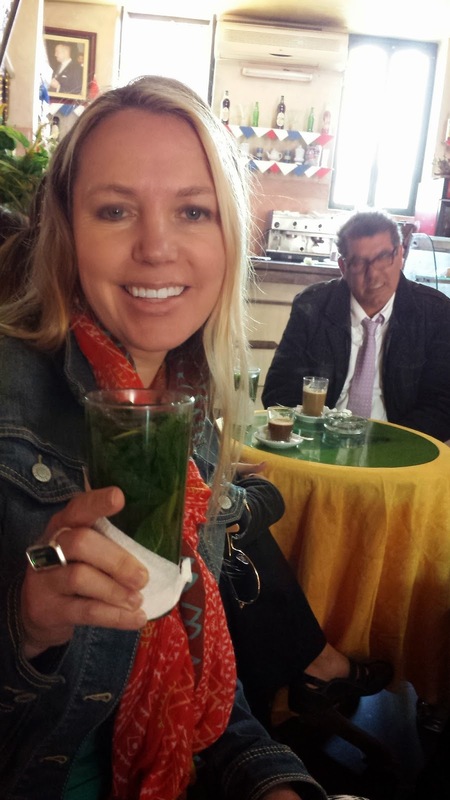 I loved eating our way through cities, one snack and drink at a time. 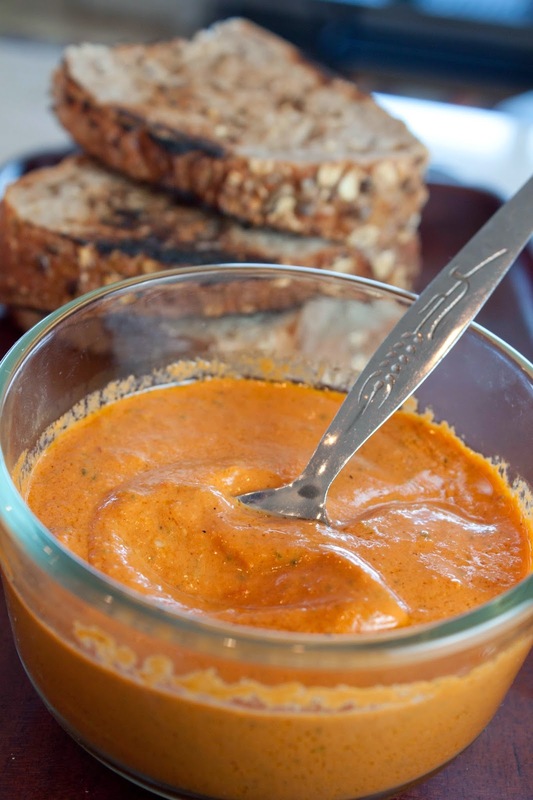 Recreating some of those tasty treats helps make me feel just a little more connected to that trip, this romesco sauce is one of those dishes. I made a few modifications to this classic sauce to make it my own, including pine nuts, chili peppers and sherry vinegar. It's a super simple sauce that comes together super quick; the most time consuming process is soaking the little chili peppers. And it's great on just about anything- grilled meats, roasted potatoes and even just simple bread. As for the Spanish vermouth, this is not your Martini and Rossi vermouth. It's enjoyed by the glass and it's delicious. And I can't find it in the States so it seems I am going to need to start my own batch of this scrumptious fortified wine; check in with me in a year. 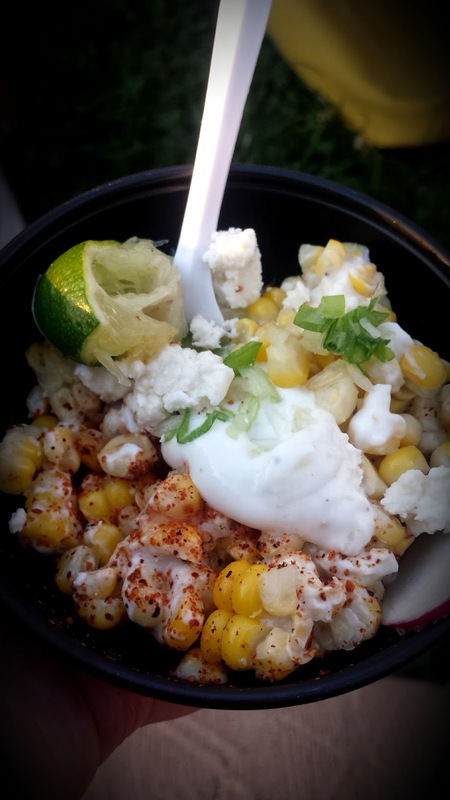 Salsas and sauces are key to turning your dish from bland to wow. Once you realize how easy it can be, you'll never need to settle with boring again. Simple salsas add a scoop of nutrition to any dish, not to mention a glorious taste of freshness. 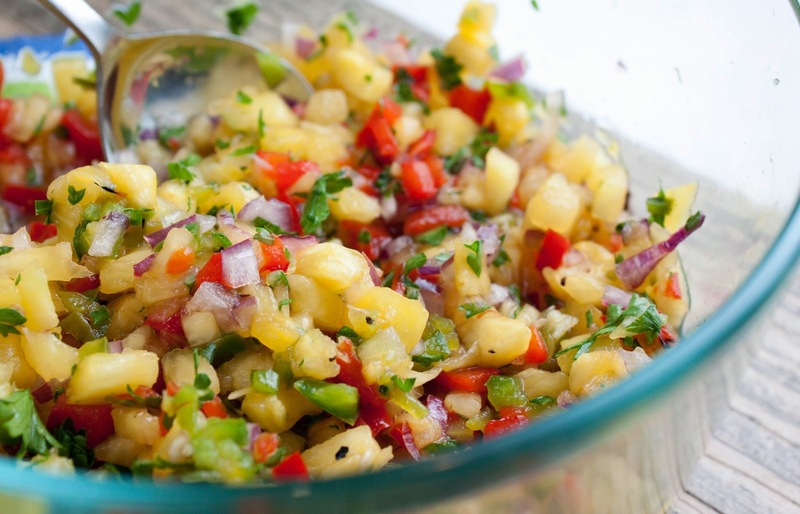 Don't over-think it, Chop, toss and your done with this simple Fat and Happy Pineapple Salsa. Last week I posted two recipes for homemade Gatorade, it's a great way to replenish your electrolytes naturally whether you are depleted from imbibing or intense exercise. As a Health Coach, I wouldn't typically recommend morning drinks if you have already had a full evening, but sometimes hair-of-the-dog is ...is...just what is going to happen. So how can you get the most out of your morning drink? 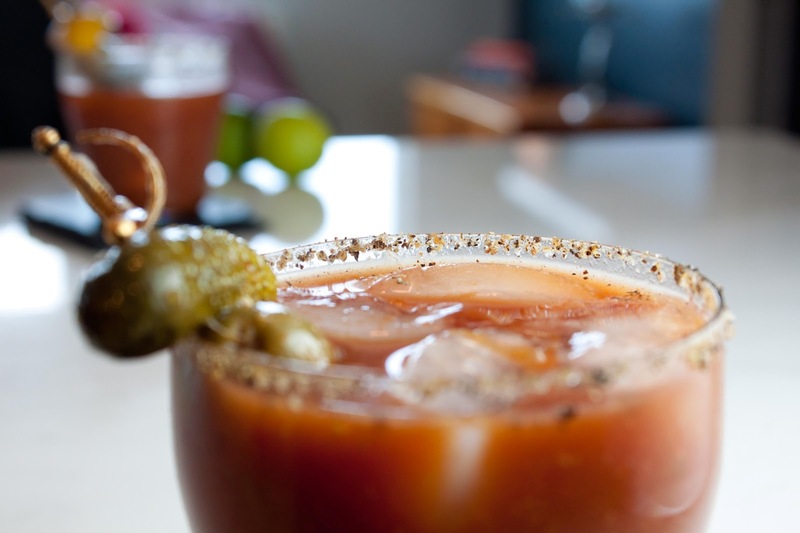 The base of a Bloody Mary is tomato juice (or V8), at least you will be getting some much needed vitamins out of it. I prefer my drink to be spicy and have some serious flavor so the horseradish and hot sauce are key. 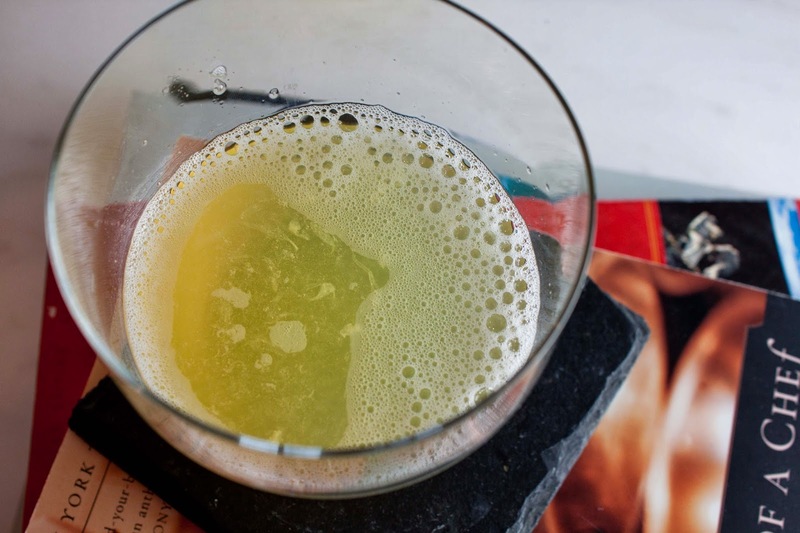 The green chili and Worcestershire give this depth while the squeeze of lime freshens it up. St. Patrick's Day calls for green. Green shirts, green rivers, green beer and green eggs and ham. Last year I made this luscious homemade creme de minth. But this year I'm sticking to the healthy-side of the green holiday with a super nutritious avocado breakfast parfait. Sweetened spinach and avocado yogurt layered with fresh fruit and topped with almond and date granola. Delicious and filling! It's a great way to get your leafy greens and healthy fats in at one time. Avocado and almonds, while both calorie heavy, are super important for energy, keeping our skin healthy and for proper functioning nerves and brain. 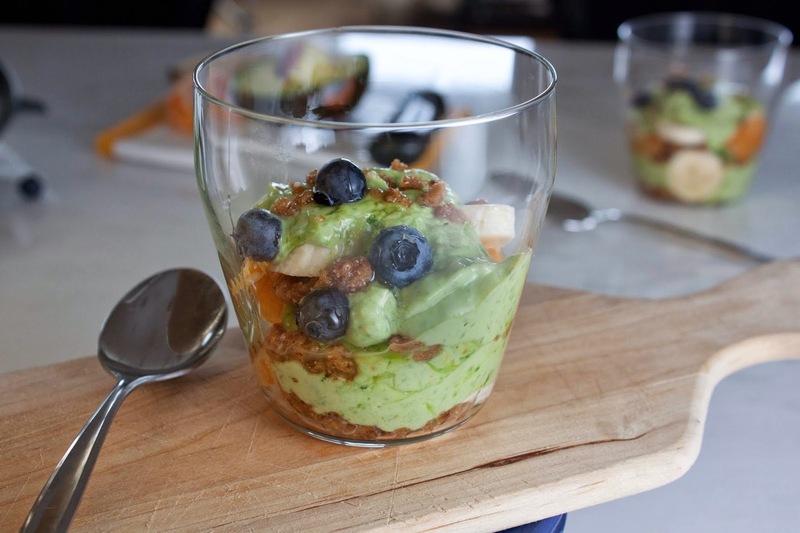 Do green the right way, with this Fat and Happy Breakfast Parfait. Punxsutawney Phil gets a bad rap. He is just a cute little groundhog who gets blamed for a prolonged winter if the sun happens to be out. Whether you want to blame Phil or Mother Nature, the cold weather is sticking around a bit longer. 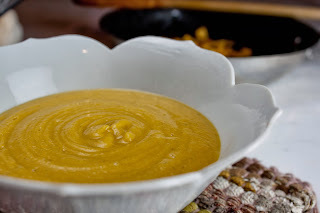 For me that means creating warm and comforting soups like this one, which combines hearty squash with a hint of sweet apple. No fancy ingredients or complicated cooking, just a simple saute with nutritious food. Warm your cold winter chills with this Fat and Happy Squash and Apple Soup and let Phil live out a peaceful spring at Gobbler's Knob. You can't have too many appetizer recipes, you just can't. Hummus is great but it isn't exactly elegant, and how many times do you feel the need to 'take watch' to ensure no double-dipping is going down? When I put this tray together I wanted something special on it - like edible flowers. But since we are in the midst of a polar vortex, even non-edible petals are hard to come by, that wasn't going to happen. The tray didn't really need more food on it, but it needed just a little something to set it apart. The guest of honor and I have a penchant for Champagne, I began to look for ways to incorporate. Yes it was a fancy and stylish party and yes, jello shots (or in this case gelee) fits right in. These aren't the nasty little neon jello shooters you get from a half-naked girls at the local club. 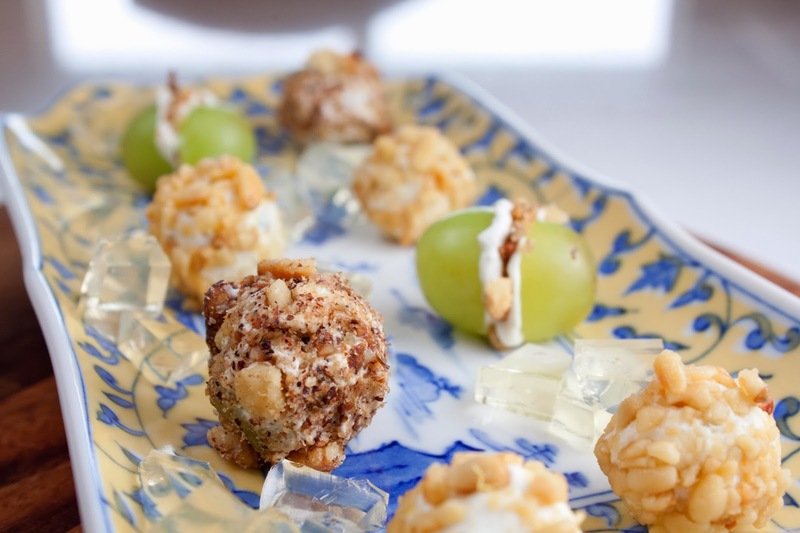 These Champagne gelee cubes are light, tender and the perfect accompaniment to the grapes. Just a little square or two is needed; though a couple of us polished off the remainder of the pan in record time later in the night. Below I've listed two flavor options for the grapes and a couple of options for how to put them together too. My goat cheese and lemon with toasted pine nuts version is super lovely while the more traditional blue cheese and walnuts arrangement is just a classic taste combination. In both cases, the grapes are a wonderful sweet vessel for the ingredients. Quick and easy appetizers that are both gluten and dairy free don't have to be lame on taste. How many times do you stand at a snack table and see the same boring offerings of crackers and cheese? Or fattening dairy dips? Next time bring your own noshes to table and say goodbye to the cracker box. 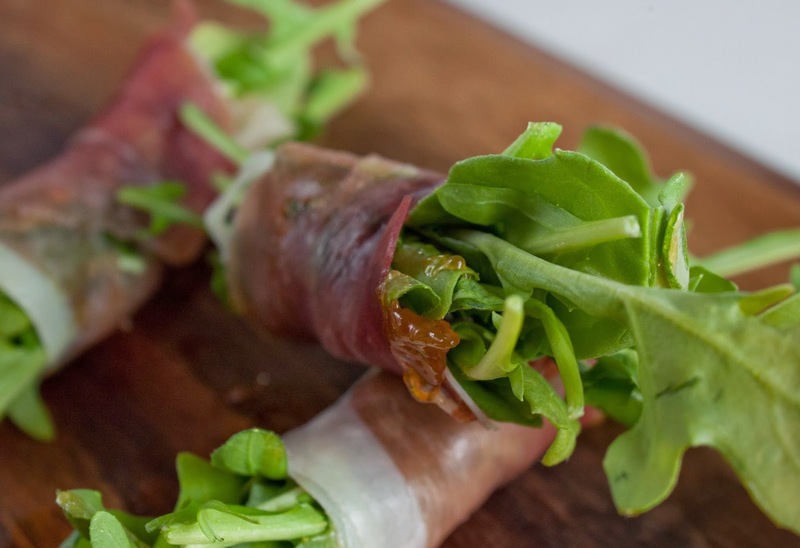 These tasty Arugula and Prosciutto morsels offer a little spicy crunch from the arugula, a touch of salty from the prosciutto and a hint of sweet from the jam. The last time I set these out among a plethora of other goodies, they were the first to go. Keep yourself fat and happy with these simple nibbles. 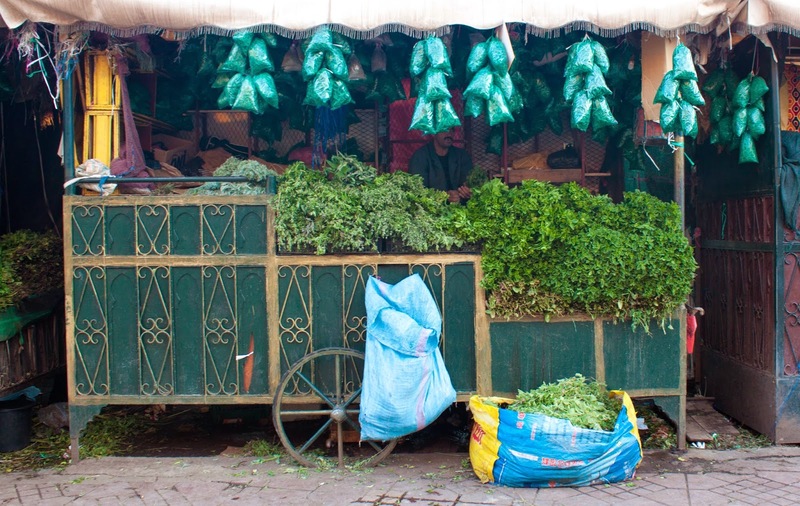 I have Morocco on my brain; could be because we are heading there in a few months. So when a friend asked me to cater and give cooking classes for her birthday dinner, it should be no surprise that we ended on a Moroccan theme. We will greet guests at the door with little jars of soup to tantalize their taste buds. Chickpea skillet bread and braised chicken follow later. 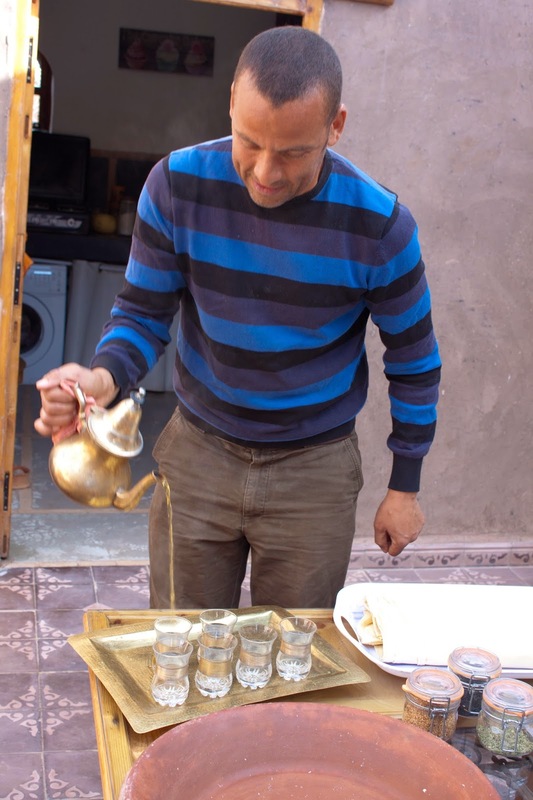 By the end of the night, everyone will want to join in the Morocco trip. No party is complete without a signature drink (and every birthday girl should have one.) This drink was born the moment I saw the kumquats at the store. Kumquats are an interesting little fruit that felt Moroccan to me at the time, so I went with it. They are similar to a tiny orange in some ways. The outside peel is bitter, the inside is a little sweet. It makes for a lovely entrance drink that set the tone for the night. And one that I will make again. For a little extra effect, I made giant cubes of ice studded with mint, kumquats and clove, one for each glass. 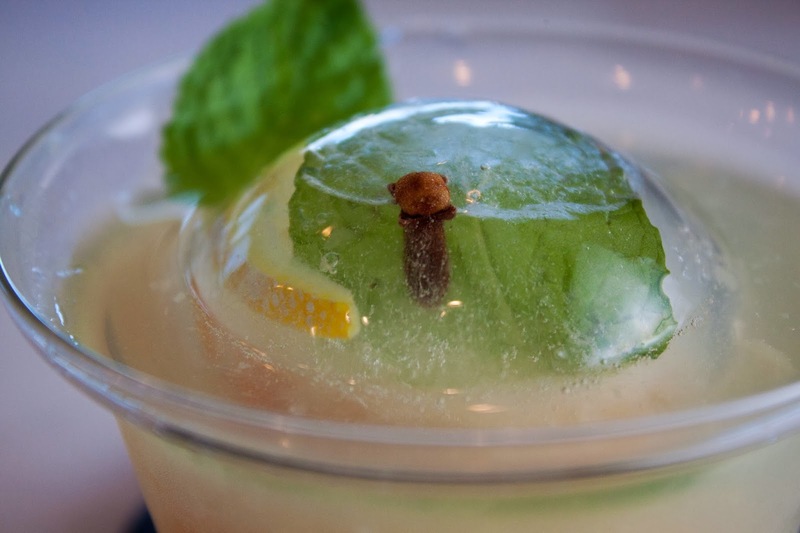 It completes the look and offers added flavor as the ice ball melts. A total Fat and Happy party extra.